1. Used a jack to lift the right front side of my car onto jackstands. 2. Removed the wheel on the right side of car to access the drain plug for the transmission. 3. Slid an oil pan underneath the drain plug. 4. Unscrewed the transmission oil drain plug and allowed all the transmission oil to empty out into the oil pan. 5. Removed the nut and bolt from the fork arm. 6. Removed the cotter pin and nut underneath the ball joint. 7. Hammered the ball joint fork tool into the ball joint while lifting the wheel hub to disconnect the joint. 8. Used an impact wrench (700+ lbs.ft) to remove the axle nut. Used a 32mm socket. 9. Turned the brake rotor aside and slipped out one end of the axle rod. 10. Slid underneath the car to reach the other end of the axle rod. 11. Used a flat head screw driver to remove the axle by wedging the screwdriver into the gap between the transmission and axle rod. 12. 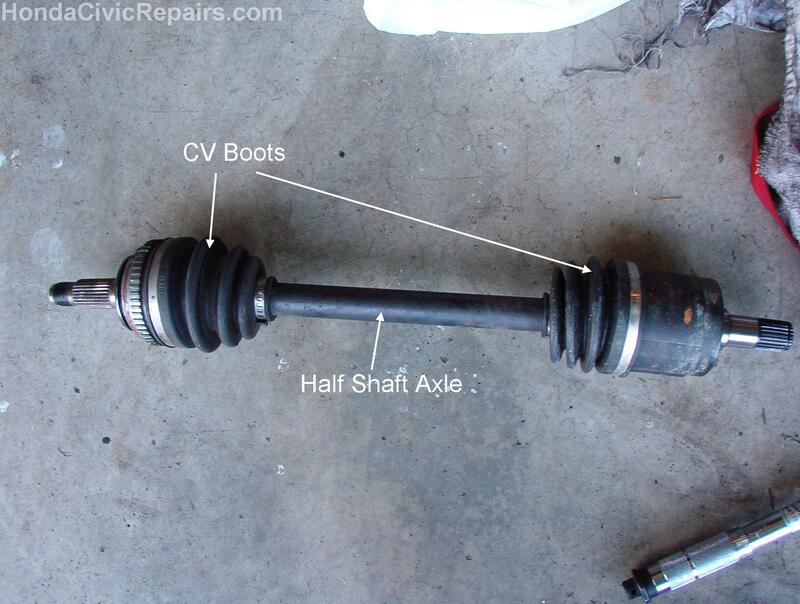 Pulled out the old axle. 13. Pushed in the new axle firmly and straight with both hands. 14. Replaced the old cotter pins with new ones. 15. Tightened all nuts to torque specifications using a torque wrench. 16. Removed the fill plug to the transmission. 17. Returned and tightened the transmission oil drain plug to torque specifications. 18. Refilled the transmission oil using a long tube and a funnel and poured 5W30 engine oil. 19. Returned and tightened the transmission oil fill plug to torque specifications. 20. Reinstalled the wheel and wheel cover. 21. Tightened the lug nuts to the wheel at 80lb ft. using a torque wrench and lowered the car.